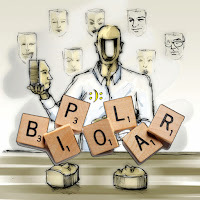 Every once in a while someone will ask me when my struggles with bipolar disorder began. I never really had an answer but for whatever reason, the question popped into my head last night and I spent some time actually thinking back over my life and the answer surprised me. It was a typical sunny day. There was nothing majorly wrong in my world. I had decided to go for a bike ride around town so I was sitting at the end of our driveway, waiting for the traffic to clear when it happened. I looked up and saw my school bus coming down the highway. She must have finished her route and was on the way back to the bus garage. With a sort of cold detachment, I looked down at my bike, back up at the bus, and wondered what it would be like to ride in front of it and get hit. Without a second thought, my feet were on the pedals and I was racing through the gap. I made it to the other side before she hit me. She told me later that I'd nearly given her a heart attack. It should have been a warning that perhaps my brain didn't work the same way as everyone else around me, but nobody noticed when I would do these sorts of things. The only thing that was ever noticed was that my grandmother used to comment how I was the least compassionate person that she knew. She never noticed that it was only in certain situations. Even now, I know that people are puzzled how I can be the woman that people say has the biggest heart and who is always there for people and yet at times, I am completely cold. 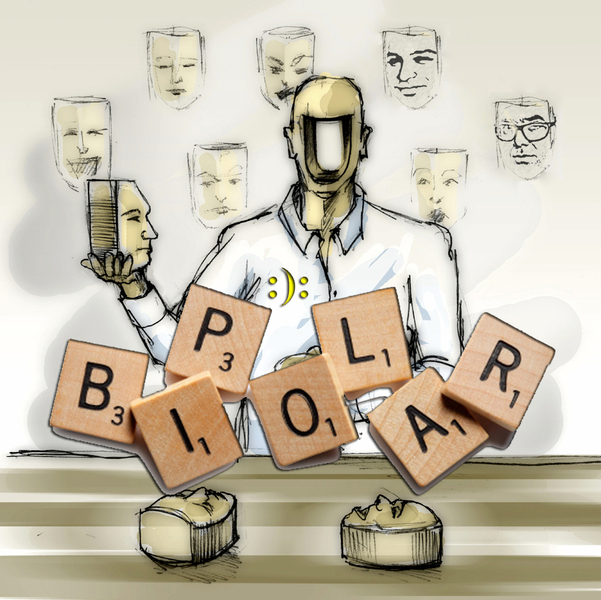 It's not an uncommon symptom of bipolar disorder. Emotions can be crazy, no pun intended. They're always intense but sometimes they just disappear and you're left just feeling numb. As hard as it is for those around me, it's harder on me. I know I should feel something and the fact that I don't, even over something big, scares me. It makes me wonder if I'm not slightly sociopathic during those times. There have been other times throughout my life where I've had that same detachment when it comes to pain or death, but there have only been two times that I have gotten to the point where there was no detachment and I had planned out how I was going to kill myself. I think that perhaps it was with that first time that I never truly recovered and the bipolar had set in. It was always there, but that emotional break gave it a chance to become something I no longer had the strength to fight against. It would be another 15 years before I would get a diagnosis. In between I would watch my marriage fall apart (and always wonder a little if this played into at all), move away, be diagnosed with depression (which happens far too often because people with bipolar disorder seek help when they're depressed and doctors don't always think to ask about the other side), have my heart broken into a million pieces, move back to Michigan and lose at least one other person I loved intensely due to this disorder and his inability to deal with what it did to me. So, if you asked me when it all started, it's still hard to say. I've lived with ptsd since I was a toddler so I will never know if those early days were that or warning signs there would be worse to come. I can only say that once you've been through hell and back and lost track of how many times, you realize that deep down you're a fighter and you will fight until you just can't anymore and you pray that when those times come, you have those who love you who will hold you up until you have the strength to stand again.